Location: 628 D Street N.W. National Photo Co. glass negative. 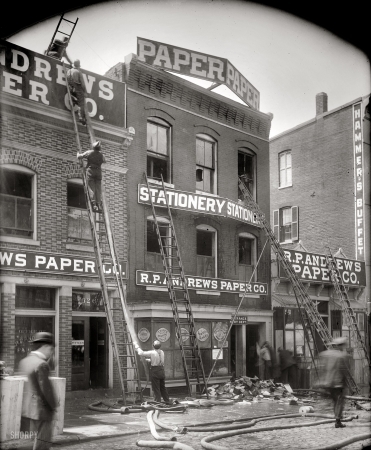 Washington Post headline, May 24, 1912: "Mysterious Fire in R.P. Andrews Warehouse Does $75,000 Damage."